Thought it might be worth posting a “How To” on the blog section from time to time. 1. 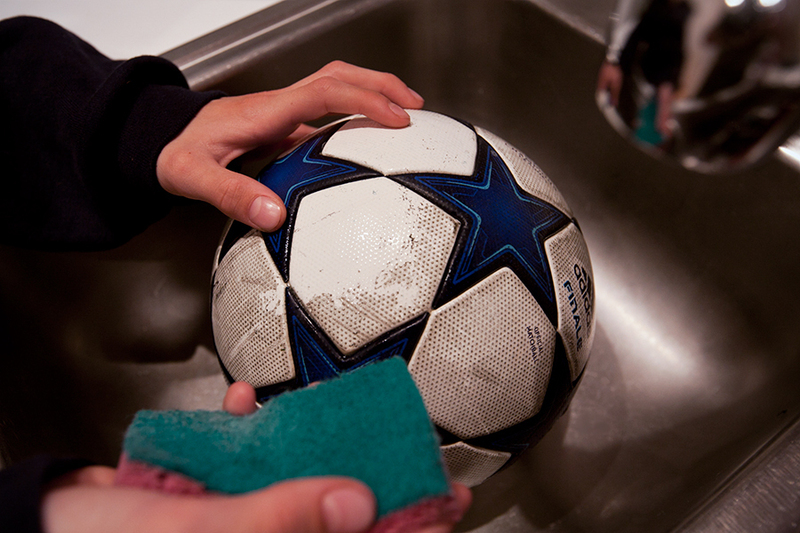 Begin by rinsing the ball with clean water. Try not to drench it, because the water can eat away at the seams over time. Use a rag and get rid of all the loose dirt. 3. Spray the diluted Simple Green on the ball and wait about 30 seconds. It will loosen the grime. 5. Rinse with a wet cloth, dry with a towel and call it good. Last night I received my new Nike Vapor Vllls. I customized them on nike.com and the entire process took about a month. The cleats didn’t arrive looking exactly like what I expected, but they are sweet anyway! White swooshes, white heal graphics and KING id. Nike decided to do away with the lightning bolt graphics that were on the Vapor VIIs. Went with the safari package to complete the look. The safari finish gives the boots a bit of a shine. Opted for the firm grounds. More to come. Better than the 7s out of the box. It was like they were molded to my feet immediately. It’s been raining for two days straight, so I haven’t had a chance to play in them yet. I’m hoping the rain stops and sun comes out for my league game tomorrow. I’ll let you know how they perform next week. Nike just released the new 2012 US National Team home jersey. It’s sick. It features Dri-FIT technology, which works to take away body moisture-keeping players cool. It also has new ventilation holes on the side that are pretty nifty. What’s really amazing is that each jersey is made with an average of 13 recycled plastic bottles. I can’t wait to see the US teams play in this new kit. My Aunt Cristy and Jim gave me a gift card for Christmas. I’ve been waiting to use it for something really cool and it looks like the waiting has paid off! This is Joseph. His lives in Kliptown – a shanty-town outside of Johannesburg. When I was in South Africa last week, I saw him pushing an old toy car around through the dirt. Joseph was supposed to be at creche (preschool) but he was feeling sick, so his mother made him stay home. As soon as we saw him, we knew he needed a soccer ball. As we walked over, he stared us down – probably wondering, “who are these guys.” I walked over and handed him a new ball. At first there wasn’t much of an expression. I think he was still wondering what we were up to. Once he dropped the ball to feet and started kicking it around – it seemed like he forgotten about his stomach ache. In matter of time he was all smiles. 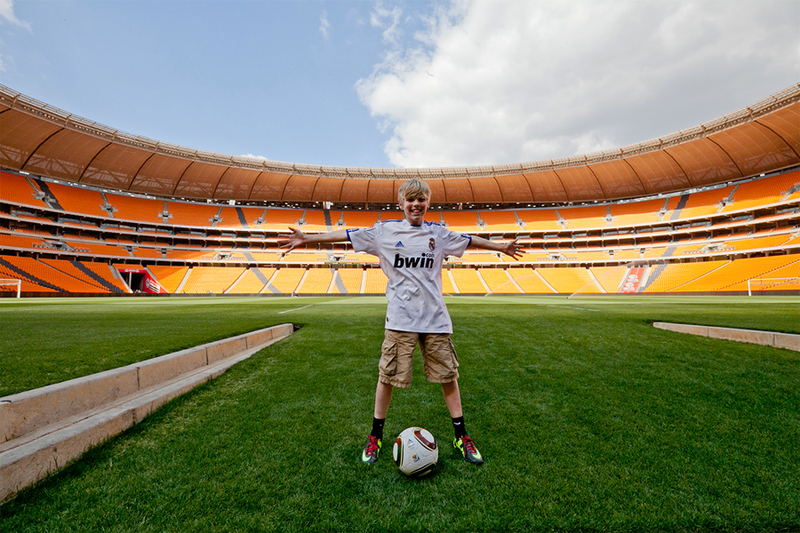 His mom said that up until this point, he had never owned his own soccer ball. Maybe he might be the next Drogba. Who knows?